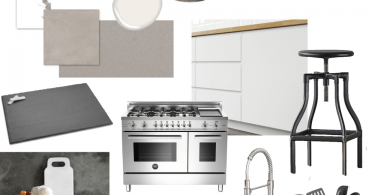 My partner and I are currently in the planning process of our first new home build so dreaming up a custom kitchen is quite a timely assignment! 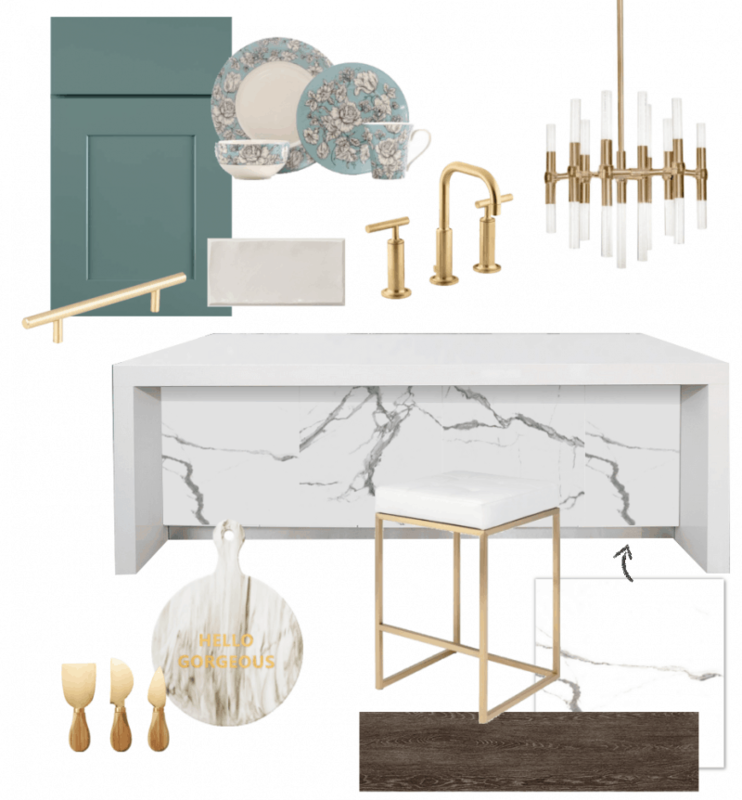 This dream board pulls together some of my favorite’s right now: colorful cabinetry, gold accents and just a touch of whimsy. The centerpiece of this kitchen is a beautiful island with a white, waterfall countertop and Genova large format porcelain tiles accenting the front for an elegant detail. I choose a wide rail shaker style cabinet door for a clean, modern look in a timeless style and added satin brass hardware. For the backsplash, I went with a White Malojica Glossy Wall Tile from the Ames Tile Trends Collection that is both subtle and glamorous at the same time. Flooring is a 8″ x 48″ Brown Wood Porcelain Tile; the dark color brings a rich warmth to the space. 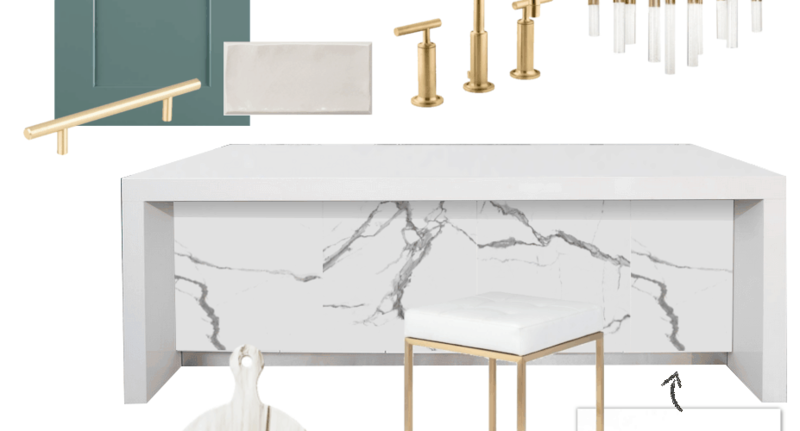 To complete the look, I picked a faucet, light fixture and accessories with gold detailing and interesting details for a look that is both classic and trendy, with plenty of glam.